Whether we like it or not, stress features in all our lives, whether we are a dog, cat, horse or human. It is not always just big, life-changing things that send our emotions into overdrive but the small, mundane situations of everyday life that cause us stress and anxiety. When our systems are over-taxed by stress our bodies find ways to ‘cope’ with it. This often constitutes behavioural changes such as loss of concentration, irritability and aggression. When fear, discomfort or excess energy cause horses to feel stressed and unsettled, they can become a danger to themselves and those around them. If stress is not effectively managed, it can also have short and long-term health implications for the horse in question i.e. increased inflammation of existing injuries, allergies triggered, stomach ulcers, diarrhoea, colic, and reduced immunity to infections. Therefore, it is important to deal with stress head-on so your horse isn’t unduly anxious for prolonged periods of time. 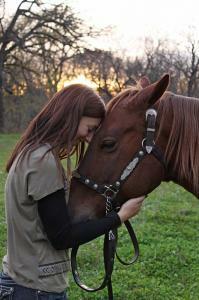 Horses are creatures that immensely value routine and are easily stressed by upheaval. This includes changes to the normal feeding routine, the amount of exercise and/or stabling and/or travelling, and the daily customs of grooming and grazing. Like people, some horses are just more nervous than others and cope with change less well than their stablemates. Competition, travelling and noise disruption i.e. fireworks can cause considerable upset to horses and need to be managed ahead of the event. It's no good asking yourself why your horse is under-performing, acting up or displaying signs of serious fear when you have failed to prepare it for the upcoming stress. Zylkene Equine Sachets are an effective supplement used to manage short and long-term stress in horses. Casein, the milk protein included in Zylkene, acts upon specific receptors in the brain to reduce anxiety and relax horses during stressful events. The sachets are easy to administer - simply mix the apple-flavoured powder into food. During firework season, Zylkene should be given two days prior to, and on the day of the event. If a horse becomes bored, it will quickly grow stressed and irritable. Stimulating your horse is particularly important for those that are routinely stabled. The Likit Boredom Breaker is a great interactive treat toy for horses that love a challenge. Simply hang the Likit holder up in the stable, complete with flavoured Likit salt blocks (available in apple, banana, blueberry, caramel, carrot, cherry, garlic, grass, honey and chamomile, menthol and eucalyptus, and mint flavours), to ensure your horse is kept entertained during its temporary confinement. Horses are herd animals that need to feel part of a group. If horses had a life motto, "safety in numbers" would be theirs. Having evolved for thousands of years to feel less threatened as part of a herd, horses can become very stressed when isolated. Obviously, in some situations this can't be avoided, but where possible, horses should always be grazed together. Being able to interact with other horses is a behaviour so entrenched that, to deny it to your horse, is to leave yourself open to a host of problems. Aside from being herd animals, horses are also prey animals that need to be able to detect threat at a distance. Anything that interferes with their sight i.e. blinkers, stables and trailers, can cause horses to become stressed and panicky. Visits from the farrier can also be especially stressful as they require a horse to lift its leg - something which would prevent it from running away in danger. ConfidenceEQ is a pheromone-based gel that provides effective calming to horses during times of stress. The gel is administered directly to the inside of the nostrils and gets to work within 30 minutes. The specific pheromone contained in ConfidenceEQ is a replica of the exact pheromone produced naturally by a mare after giving birth; this pheromone is intended to reassure and relax the newborn foal as it enters the world which, in turn, translates to adult horses as they experience new situations and unknown environments. If you have something coming up that you predict will cause your horse stress, give ConfidenceEQ a try and see what it can do for you! To view VioVet's complete range of calming supplements for horses, click here. Really interesting read and something to definitely consider with the show season ahead.